The following article contains fragments of a Masters Thesis entitled “Christians’ attitude to Jews- Shalom Ministry Association” written in 2008 by Wanda Pindel under the supervision of Prof. Halina Rusek, Cieszyn, Dept of Ethnology and Sciences of Education, at the University of Silesia in Katowice. A document of the Lutheran Church, entitled “Guidelines for Lutheran Jewish relations” produced as a result of the meeting of the European Lutheran Committee “The Church and the Jewish People” that took place in the Dutch city of Driebergen in 1990 reads “Christian triumphalism, having a bad impact on relations between Christians and Jews, cannot be reconciled with a serious meeting [of the two parties] and sincere [Christian] testimony. (...) The Judaism of Jesus’ times is presented as a black background for brightening the contemporary Church and especially the present day Church. Such an attitude was used as a justification for oppression and persecution. (...) Judeo-Christians can make the Church more conscious of her Jewish roots, and help the Church to remain in that [consciousness]. Thus they may contribute significantly towards dialogue between Jews and Christians”. The document states: God’s covenant with the Jewish people endures forever. Jesus of Nazareth lived and died as a faithful Jew. Ancient rivalries must not define Christian-Jewish relations today. Judaism is a living faith, enriched by many centuries of development. The Bible both connects and separates Jews and Christians. Affirming God’s enduring covenant with the Jewish people has consequences for Christian understandings of salvation. Christians should not target Jews for conversion. Christian worship that teaches contempt for Judaism dishonors God. We affirm the importance of the land of Israel for the life of the Jewish people. Christians should work with Jews for the healing of the world. Concrete changes began to take place in Polish Jewish Christian relations in the 1970s when, because of a forced emigration of the majority of the Polish Jewish survivors, only a small remnant of the once 3.5 million Jewish population that lived here before the Second World War remained. This remnant began the process of restoring the Polish Jewish community and, according to Konstanty Gerbert, it was the Church, or to be more precise, certain Christian communities, which became “an important supporter in this process.” The first public debates on Jewish topics took place in the capital itself in the Evangelical Church in the, then, Swierczewskiego Street. Gebert admitted that he and his peers from the pre and post March generation, growing up in homes that were assimilated, read the first Jewish texts written by themselves in Catholic (Znak/ Wiezi/ Tydodnik Powszechny) and Protestant (Jednota/ Zwiastun) papers. These texts formed part of Jewish- Christian dialogue. Another Jewish columnist- Stanislaw Krajewski- says that the Jewish Culture Weeks in Warsaw, started in the 1970s were significant occasions. They were organized by the Club of Catholic Intelligence and the Evangelical – Reformed Parish and included readings and cleaning of Jewish cemeteries. The Conference of the Polish Episcopate called into being a sub-committee called “Dialogue with Judaism” in 1986, which, according to priest Waldemar Chrostowski, was “the real beginning of Catholic- Jewish dialogue in Poland.” The main aim of the committee was to promote dialogue with Jews, react against anti-Semitism and also to lead a discussion within Catholicism about the Jewish roots of Christianity.” At the Conference of the Polish Episcopate in Czestochowa in November 1997, the so- called “Dzien Judaizmu” or “Day of Judaism” which is celebrated on the 17th January, the eve of the Week of Prayer for Christian Unity was begun. For the head of the Polish Council of Christians and Jews - Stanislaw Krajewski, this day, when Christians of various denominations pray for the Jewish people is “the clearest accent in the new relationship between the Church and Judaism,” and has “historical value and significance for the Jews in Poland.” The celebrations of the Jewish festival Simchat Tora, or Rejoicing of the Torah in Warsaw’s Dzieciatka Jezus na Zoliborzu (Church of the Infant Jesus) church is also the work of the Polish Council of Christians and Jews. These celebrations are held yearly and as Michal Czajkowski says, during the services “psalms are sung together with the Jews, God’s Word is studied and joyfully, melodically and energetically sang the words Sisu wesimchu besimchat tora utnu kawod latora!” The Polish Council of Christians and Jews mentioned above founded by Stanislaw Krajewski and Waldemar Chrostowski, which belongs to the International Council of Christians and Jews, has set itself the aim of Christians and Jews getting to know each other, understanding each other, breaking down of stereotypes and deepening inter-religious contacts. The Council also awards the title of “Czlowiek Pojednania” “Person of Reconciliation” to one person per year from outside the country who has worked for the development of dialogue in Poland. As can be seen from the above sources, the process of eliminating the age old prejudices held by believers from varying denominations began with the publication of official documents and statements made by the hierarchy of the given groups. However, words are not sufficient, especially as S. Hizak states, “The Christian’s greatest testimony regarding the Jew is a quiet testimony, one of action, not of words, as actions speak louder than words.” The work of breaking down the “wall” (of hostility) with actions has been taken up by the part of the Body of Christ to God’s request has particularly spoken. This request reads “Comfort, comfort My People, says your God.” (Isaiah 40, 1) The work of these “younger brothers of the faith” on a wider scale enabled a systematic transformation at the end of the 1980s and also enriched Jewish cultural and spiritual life. New opportunities also opened up for all Christian circles that wanted to support Israel in the Land and in the Diaspora- this could now be done through material aid, charitable work and prayer support. One of these opportunities was the formal organization of Christian groups who desired to support the Jews in a practical way- by caring for the elderly descendants of Abraham or by prayer ministry. 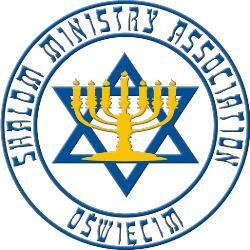 Shalom Ministry Association is registered in Poland as one of the organizations working for the good of the Jews – their work includes various forms of charitable help, prayer and education. Oswiecim, the place in which the idea was born to support the Jews, beginning with prayer meetings and followed by humanitarian aid, is a special place for two main reasons. Firstly, Oswiecim was a town in which, until the outbreak of the Second World War, 50% of the population was Jewish and their culture existed alongside the Polish culture. Oswiecim was known as “Jerusalem” (of the East), a name that existed until the outbreak of WW2. “Who taught you tender Bible tales Of honey land, of milk and wine? Of peaceful, happy Palestine? Of Jordan’s holy harvest vales? Who gave the patient Christ? I say, Who gave the Christian creed? Yea, yea, Who gave your very God to you? Your Jew! Your Jew! Your hated Jew!” The conferences take place from Thursday to Sunday, and have a set programme of teaching sessions, complemented by testimonies of the work in the Ukraine, given by those who run the soup kitchen and by someone who receives some help. The believers of various Christian denominations and Messianic Jews are united by singing Psalms in Hebrew together and by praying together. A Shabbat supper is traditionally held on the Friday evening, the evening being led by the Messianic believers who are invited to the conference. It is an opportunity for Christians to get to know the customs regarding the day, which is known as the crowning achievement of every week. The city of Oswiecim, where conferences and meetings have been held since 2005 is noted for hosting the latest three conferences, entitled “From Holocaust to Living Hope.” The organizers chose this title, as they believe that the Christian Church must identify with the pain and suffering of the Jews, and yet should not remain in this pain. There is a solution- hope- that leads to reconciliation, to peace or shalom. As one of the organizers wrote in the prayer and information letter of Sept 2005, “the point is this, that here in the place that symbolizes the Holocaust- Auschwitz-Birkenau- Christians from Poland and other nations of the world should gather, to understand the suffering of the Jews, to humble themselves before God, and break bread at the Selection Site and declare the living hope that we have in the blood of the Lord Jesus.” That is why prayer and the Lord’s Supper at the Site of Selection is a unique experience, as once during the war, the place was filled with people who were walking to their deaths, and now, the desire of the conference organizers is that the Site would be filled with believers from the nations. They believe the prayers said here will bring blessing for the Church and for Israel. Before one Lord’s Supper was celebrated at the Site of Selection, Howard Morgan (conference speaker/ Messianic believer) said that although we are from different cultures, nations, surroundings, there is one thing that links us and that is the blood of Christ and the fact that we are also joined in ministry to the Nation of Israel. According to Morgan, there is one root of all evil in the world and that is people’s hate for one another. The redemption through the blood and body of Christ, which is symbolically celebrated on the ramp at Birkenau, and which God wants to bring to pass, can bring healing for all of mankind as it is not only the blood of Israel that calls out from the ground, as the blood of Abel, but the blood of all our murdered “brothers.” The main theme of the 10th Jubilee conference in 2007 was Christian-Jewish Relations over the ages, and JoAnn Magnuson (writer and lecturer, USA) whose lectures were centered on the history of these relations mentioned a theology, which rose in Christianity – so-called Replacement Theology, which says that the Church has become the New Israel and that God has rejected the Nation of Israel. Her teaching was complemented by lectures by Hansjuergen Kitzinger, pastor in Nurnberg, Germany, whose congregation works with City authorities and Jewish communities in an organization called “Seek the best for the City. Pastor Kitzinger spoke on 26.08.2008 about the Nurnberg Laws and their consequences and presented the idea behind “Hitler’s religion.” Hitler wanted to copy what was written in the Bible and create, (among other things) a Millennial Kingdom. Robert Waehrer (Bible teacher and head of Aktion Verzicht, Switzerland, actively engaged in the project Towards Jerusalem Council II) lectured on the topic of the conflict in thinking between two concepts of salvation. One view was the Biblical view that salvation came from the Jews, the other, held and preached by the Nazis that salvation came from Hitler. The speaker drew attention to the choosing of the Jewish Nation, which in turn meant a calling to serve others, and did not mean that others were rejected and which meant suffering caused by an affiliation to God. JoAnn Magnuson did not only focus on the history of anti-Semitism, but presented in following sessions the idea and works of Christian Zionism. The main aim of Christian Zionism is to rebuild the original relations that were broken between the “cultivated olive tree and the wild olive branch.” A simple definition given by Magnuson on 24th August 08 says that, “Christian Zionism supports the return of the Jews to Zion- the Land of Israel, promised to Abraham and his descendants forever.” The term Zion does not only mean the Temple Mount, Jerusalem- the City of David, but also Israel in her entirety. Avivah Benjamin (Messianic believer) drew listeners’ attention to the necessity of Christian involvement in the ministry of reconciliation, - to bring peace and forgiveness in every situation and place, in families and other relationships in spite of our own wounds. Her words had the ring of authenticity about them, as she was born into a family of German Jews, many of whom were burnt at Auschwitz, and is now engaged in the ministry of reconciliation – during her ministry she has come across and had contact with former Nazis or their descendants. As the programme (for the X conference 23- 26.08.2007) suggested, it was to be a time of repentance of past anti-Semitism, a cutting off from any anti- Semitic attitudes in the present and a return to the Jewish roots of our faith. The organizers’ aim was to God’s loving attitude towards the Jews into focus, and to encourage Christians to identify with and make the Word of God their own. Evidence that there is a need for such conferences to be continued and the positive influence on Polish Christians can be found in the words of the participants and the presence of many of them at more than one past conference. The conferences enable participants to get to know aspects of Jewish history and present day tradition and culture, and the Land itself. Moreover, teaching focuses on the need to have a respectful attitude to the Nation and reminds us of our debt of thankfulness. It also reminds us that we younger brothers of the faith have the obligation to declare our faith in Jesus Christ and our love for Him in word and deed, so that our Elder Brothers, who experienced hate committed in His Name, would finally be convinced that was not the message God planned for them. Finding out about the work carried out by Christians in Poland and around the world allows people to become involved in one or more of the ministries as they are able. Finally, the opportunity to spend time with people who think in a similar way, gives participants the feeling that they are not alone in their positive attitude towards Israel- the Nation and the People and the feeling that they belong to a great family of Christians who make up the Body of Christ. Prayer is an integral part of the Christian life and is also something that has been part of the Shalom Ministry Oswiecim founders’ life since before it existed in the city. It was in 1995 that a small group of believers started meeting to pray at the former camp Auschwitz Birkenau, asking themselves and God what they as Christians could do for their Elder Brothers in a place where so many of them died, and from being the Jerusalem of Poland, became the symbol of the Holocaust. With the foundation of Shalom Ministry, members joined the so-called Wall of Prayer, and since then many Christians from Poland have joined the Ministry for Israel run by Christian Friends of Israel (CFI) to pray with believers from all nations for Israel and the Jews. The organization CFI with its headquarters in Jerusalem coordinates prayers for Israel from all over the world and, like Nehemiah, encourages Christians from all over the work to rebuild the spiritual walls of Jerusalem and Israel. Since 1991, The Wall of Prayer, CFI, has been linking up believers from over 100 countries in intercessory prayer for specific towns or villages in the Land and for the country in general. In so doing, they are creating (according to the prayer letter of Dec 2003) “an army of intercessors, holding up the invisible wall around Israel.” One associates the name of the ministry with the verses from Ezekiel 22, 30 that reads, “I looked for a man among them who would build up the wall and stand before me in the gap so that I would not have to destroy it, but I found none.” The Talmund says that the words “build up a wall” mean “to call the people to repentance” and the words “stand in the gap” mean “to pray for their salvation.” According to S. Hizak, the wise- men of Israel believed that a man who appeared in the right gap at the right time could save a town, people or nation. The people who coordinate the ministry travel around Israel, gathering new information, meeting with communities, taking photos and taking specific prayer requests. As they say themselves, “The Wall of Prayer is the work of the Master Builder and we as His workers change from time to time, but His work is continued.” (Prayer Letter Dec 2003) Their Watchmen on the Wall prayer letter, clarifying issues affecting Israel, is sent out once a month. The above type of ministry to Israel and her inhabitants has a spiritual aspect and does not only enrich those who decide to stand in the gap, giving them joy at being part of such an important project, but gives them a feeling of being close to those for whom they are praying blessing, protection and peace. Those people, sometimes thousands of kilometers away are kibbutz and moshav or Arab village inhabitants. Besides taking part in the annual March of the Living, supplying humanitarian aid in the Ukraine is the second way in which Shalom Ministry members have the opportunity to meet Jewish People directly, and in particular the remnant of Israel living in the Ukrainian Diaspora, whom they can show kindness and help in a practical way. This help is much needed as the Jewish People there live in difficult situations – caused by low incomes, bad state of health and loneliness. This ministry began in 1999 when the organization Chevra from Krakow approached Shalom Ministry, suggesting they take over one of the soup kitchens, which was having financial difficulties. The difficult financial situation of the Ukrainian Jews is confirmed by an article by Y. Zissels regarding the social policy towards the Jews in post- communist Jewish communities. The author states that the monthly income of the majority of elderly Jews in the Ukraine was less than $30 and 90% of those people received less than $20. Every third person admitted that they lacked money for even the most basic of foods, and 4% said they were sometimes starving. Moreover, more than half of the respondents did not have money to buy clothes. Every fourth person of the approx 75, 000 Ukrainian Jews lacked money to buy medicine and 41% could only buy basic medication. Barely 18% of the elderly Jewish population described their health as good or satisfactory. 7-8% owned a broken fridge, washing machine or TV and 60% of the flats were in need of renovation. The living conditions of half of the then Jewish population meant that they required some form of help and 45, 000 people who did not have money for even the most basic of needs and who needed constant care. Regular Shalom Ministry trips to the Ukraine are an opportunity to observe the rising cost of maintenance and the very small rises in already very low pensions. This means that an increasing number of the oldest descendants of Abraham wrestle with poverty. The Christians involved in Shalom Ministry decided to support the soup kitchen in Szepetowka, which is located 750km or 16 hrs’ drive away from Oswiecim from August 1999. In doing so, they joined the group of people from many different countries who were already running 35 other soup kitchens here in their desire to help the Jewish people in their difficult conditions. Thanks to the support of Polish Christians from various denominations and from other Christian organizations outside Poland- Bridges for Peace (to the end of 2008) and Aktion Verzicht, which continues to support the work today, it is possible to serve 50 meals a day from Monday to Friday and deliver meals to the sick and disabled in their homes. The meals are very nutritious, varied (as far as possible) and always 2–courses served with bread. Packages with food for supper have been provided at the soup kitchen since July 2000. The work at the soup kitchens does not only consist of serving hot meals but also caring for the people who attend them. In each of the soup kitchens, there is somebody responsible for the supervision of the canteen, to ensure all runs smoothly, and for the delivery of packages to those people who are unable to leave their homes. Roza runs the soup kitchen in Szepetowka on a voluntary basis and is helped faithfully by her husband Zinow. Until June 2009, the hard work of running the soup kitchen in Winnica was done by Ela and her husband Sasza. The sudden death of Ela at age 53 due to a heart attack has left a gap in the ministry of mercy. Members of Shalom Ministry Association put their trust in Almighty God, who will find the best help for Sasza and the best solution to continue this good work. It must be noted that apart from the fact that the hot meal enables the soup kitchen attendees to survive, another aspect of the work there is to bring the Jewish community together. The people who come for lunch are elderly and lonely but, when at the soup kitchen, do not feel so abandoned and alone, and can share the difficulties and joys they experience in their daily life and have a sense of belonging to a fellowship. How much it means to them was expressed in the words of 84-year- old Perla from Szepetowka, who (as quoted in prayer letter Jan 08) could not attend the soup kitchen for some time due to illness. She said in a conversation with Shalom Ministry Association members that she has really missed the soup kitchen and the contacts with other attendees. Alongside the part financing of the soup kitchen in Winnica, another form of help has been started- the delivery of monthly food packages to 14 sites in the Winnica region. As was written in the Aug/ Sept letter of 2000, 30% of the Ukrainian ghetto prisoners live in the Winnica region; that is approximately 900 people, many of whom lost their entire families during the Holocaust. In total, 3 tons of food products – or 555 packages are delivered monthly. Until 2007, each package worth 20zlotys consisted of: 1 kg of sugar, rice, buckwheat, oats, a packet of pasta, a litre of oil, butter, fish conserve, condensed milk, 100g of tea, biscuits, a packet of raisins, bay leaves, and a bar of soap. Although Shalom Ministry members’ desire is to help all those who need it, unfortunately circumstances mean the ministry must be restricted. Due to the drastic rise in prices in the Ukraine, of food in particular, the Association was forced to reduce the number of products- as a result, therefore, until more funds can be found, the number of products has been cut to six since March 2008. In the face of this situation, Shalom Ministry decided to re-open the soup kitchen, which is run in the local synagogue. Twenty people received lunches three times a week from March 2008 and from May 2009, lunches have been served four times a week. When it comes to other activities, medical help for the most needy is noteworthy. Most of the people there struggle with many serious, incurable illnesses and the lack of finances to buy medicine, to pay for an operation or buy necessary equipment means their lives are very difficult and more often than not other diseases or complications are caused as a result. Whenever possible, money is provided to buy medication, equipment to measure blood pressure is supplied, and Polish people donate ‘walkers’ for those people who have had an operation. Help is given when money is needed to pay for an operation or a trip to a health resort/ centre. During subsequent visits to the places where the Jews are recipients of Shalom Ministry’s help- financial aid is also given in order to buy cleaning products, clothes, shoes or coal, as the latter three, or rather their lack, can mean the difference between life and death for the people, particularly in winter. One of the latest initiatives was to buy and provide small halogen stoves for people in Jampol, as due to a lack of heating and gas, many people suffer from the cold in their flats. The fact that the living conditions of many of those in Shalom Ministry’s care are very poor is another source of worry for them and often causes deterioration in health. This was the case for Olga, a retired teacher who had had surgery to remove a tumour, whose flat did not have water nor plumbing and had to be heated with a coal fire. Because of the poor state of the whole of the council building, it was only possible to connect running water to the flat- and yet is something that makes her life much easier. The desire in running these retreats for the elderly descendants of Jacob is to erase, at least in part, the memories of persecution and humiliation caused by their being of Jewish descent. Their desire is to do this in accordance with the Word written in Isaiah 62, 10 to “build up the highway, remove the stones.” In the report written in Sept- Oct 2003 the organizers wrote, “we give thanks to God that He removed the stones of prejudice, rejection and depression from their hearts day by day.” Swieta, one of the women who came to Poland, said (in an interview 15.03.2008) that for the first time in her life, “ she felt like a first class person, not like a third class person as she had felt until then.” Borys from Winnica summarized his visit in the following way, “One author wrote that whoever goes to Paris will remember it to the end of his life. I will remember this trip to Poland for as long as I live.” Another participant – David from Winnica expressed his thanks with the following words, “After the war, those who rescued Jews, were given the Righteous Among the Nation award. Now, in the face of anti-Semitism, people who support and help the Jews deserve such an award.” (All quotes taken from an interview 15.03.2008) Many of the people said (Oct 2005 letter) that would associate Poland with people’s warmth and goodness as that is what they experienced in our country. Since 2005 groups from various churches in Poland have been able to go to visit the lonely, disabled, ill and elderly whom they bring before the Throne of God in prayer throughout the whole year and who support them financially or by providing necessary goods. The organizers’ desire has been that the donors could see what Shalom Ministry writes about in their letters and personally meet those they help and see the conditions in which the Jewish people live there. All forms of practical help provided by Polish Christians through Shalom Ministry are a sign of their love and kindliness they desire to the remnant of God’s Chosen Nation. Other forms are their sympathy and understanding shown in conversations with individuals during home visits, listening to their tragic family history, of which very often only one person has survived, comforting them and of course prayer. Carrying out acts of mercy is above all a sign of our obedience to our Lord, who encourages us by saying in Matthew 25, 40 ‘ I tell you the truth whatever you do for the least of these brothers of mine, you do for me.’ We can serve in many ways depending on the situation we find ourselves in, the opportunities and skills we have been gifted with. For some it will be prayer in the silence of their bedroom, for others it will be taking a courageous stand for Israel in conversation or on an internet forum, participation in a conference, or presence at celebrations of Jewish religion, culture or tradition.